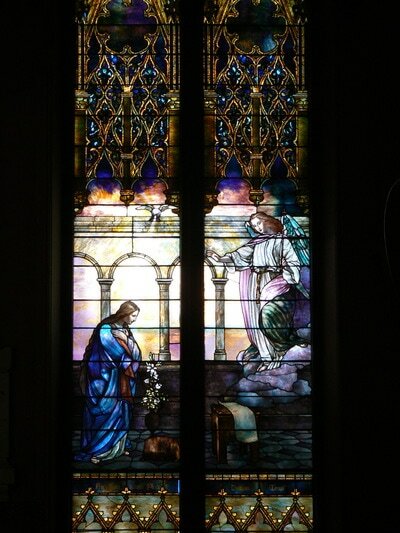 In the early 1890s, under the rectorate of The Reverend Edgar A. Enos, a major renovation was begun to repair the structural deficiencies of St. Paul's Church in Troy, but in the process, an extensive and elaborate plan was made to beautify the interior. Gone were the large galleries of additional seating, gone the simple lines of the ceiling, the church had employed the up-and-coming Tiffany Glass and Decorating Company to completely redesign the interior. 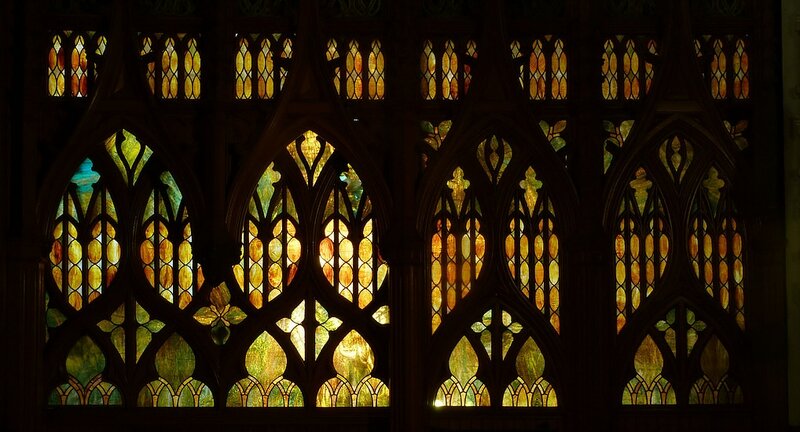 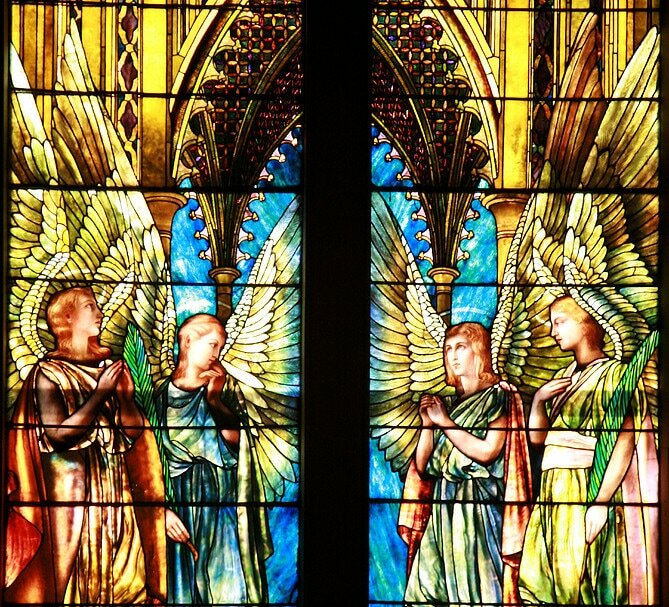 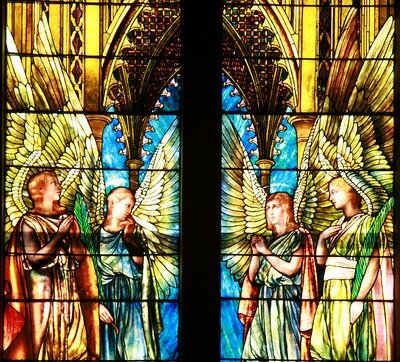 St. Paul features the magnificent altar window and numerous floor to ceiling stained glass wonders as well as grand woodworking and intricate mosaics. 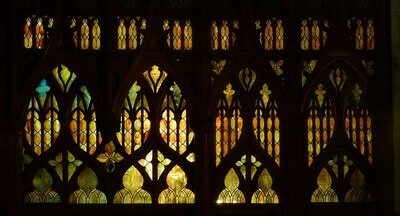 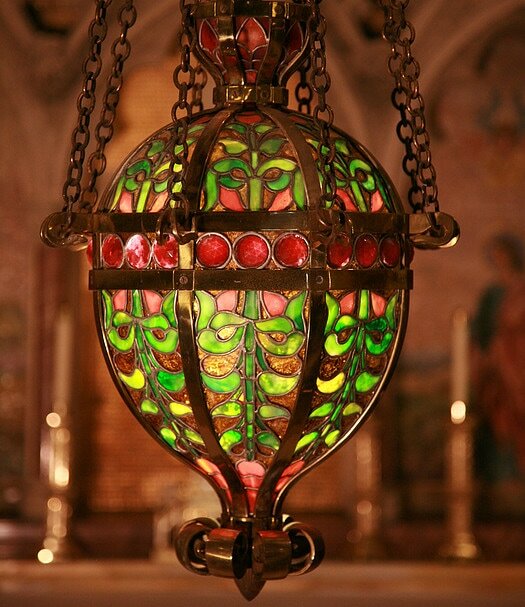 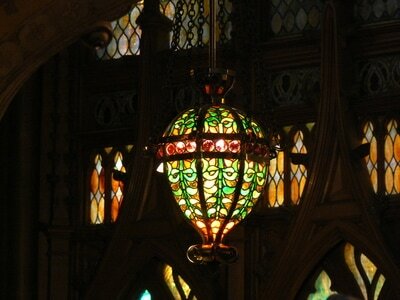 St. Paul's is generally considered to be one of the only totally integrated Tiffany interiors in the world. 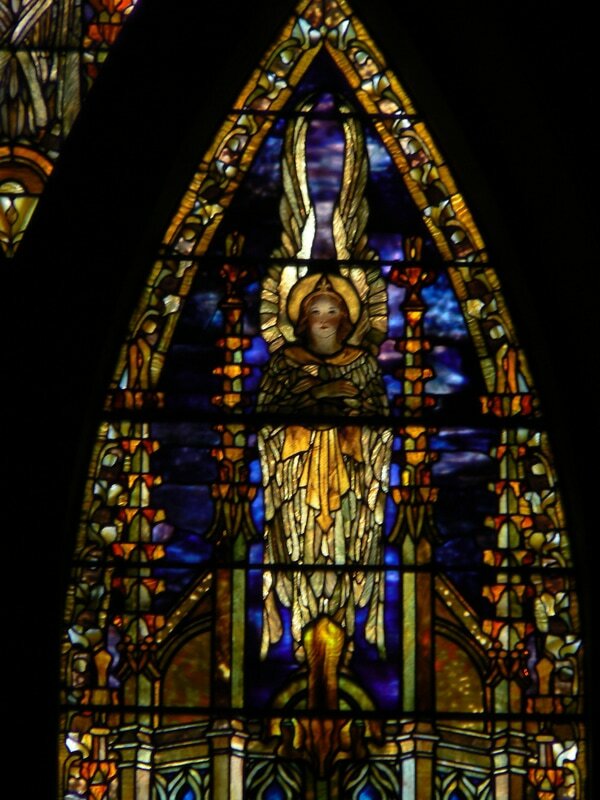 Click on images for descriptions. 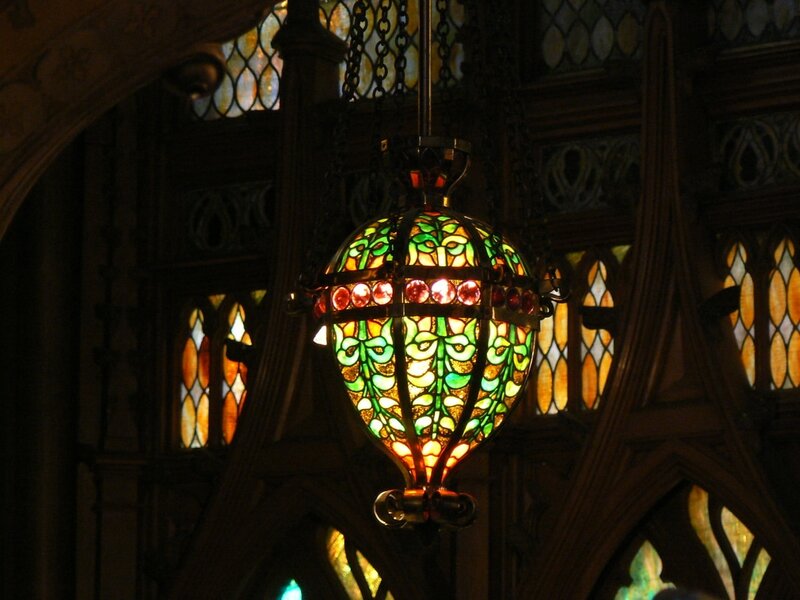 The interior was comprehensively remodeled during the period 1891-1893 by the Louis C. Tiffany Glass and Decorating Company, primarily under the direction of J.A. 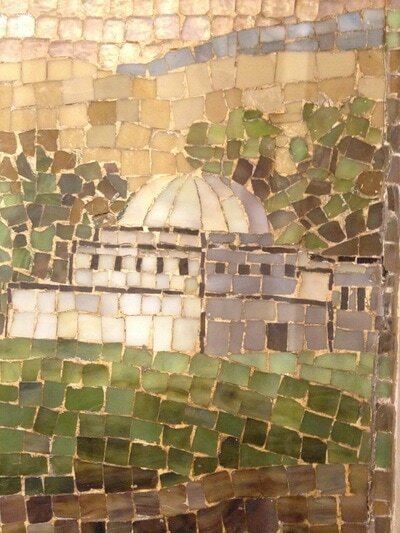 Holzer. 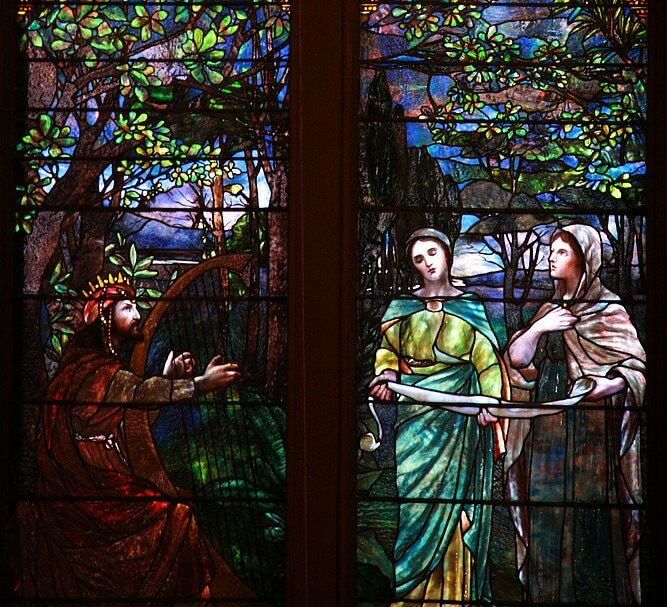 Mr. Holzer was an architect, painter and sculptor of renown. 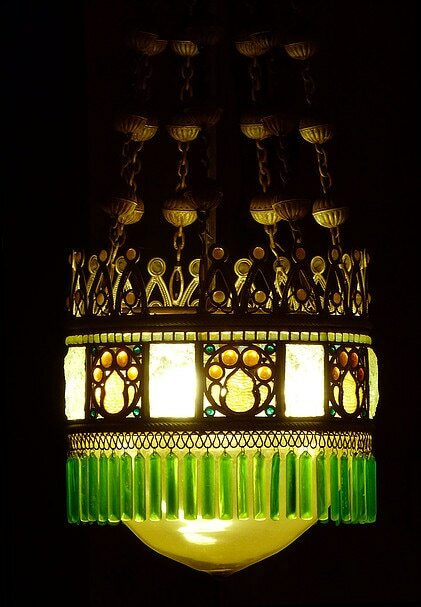 The Tiffany Glass and Decorating Company was responsible for the design, and produced the glass and mosaic works in their own studios. 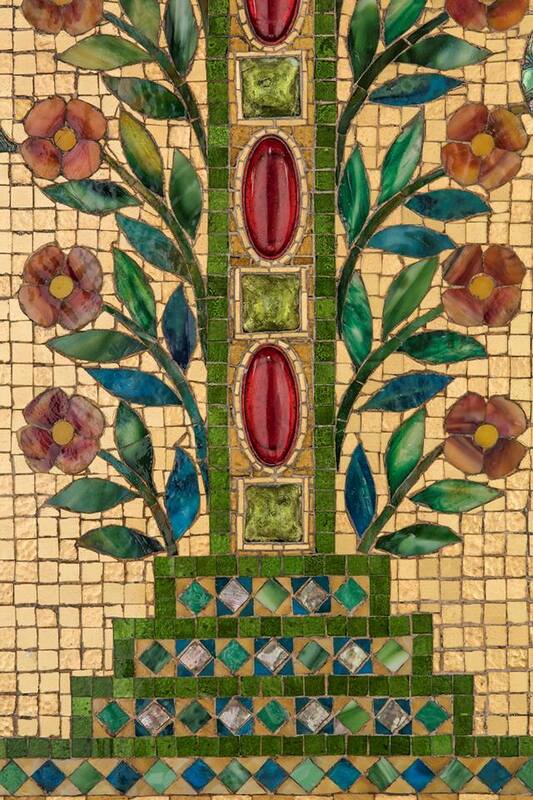 Much of the work was designed by Tiffany and contracted locally; the Tiffany company charged 7 ½% of the subcontractors fees for supervision. 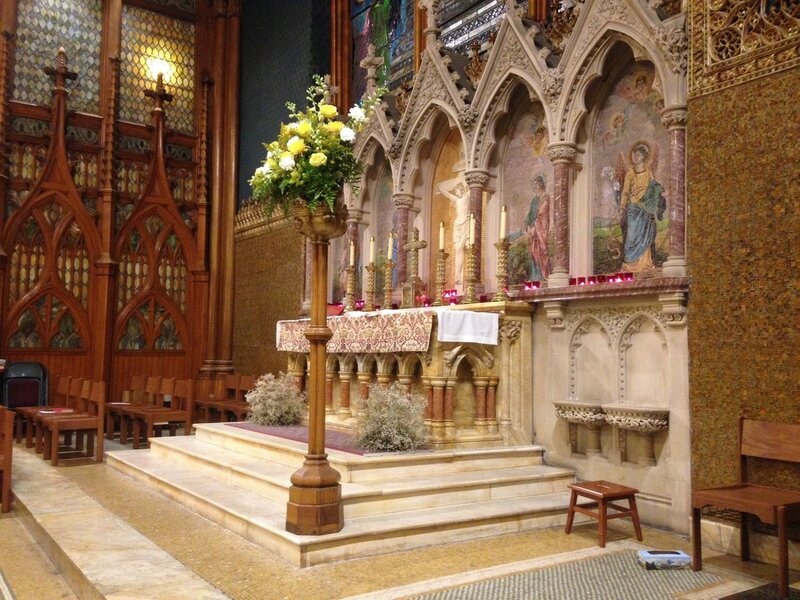 The Cathedral Church in Palermo reportedly provided many details. 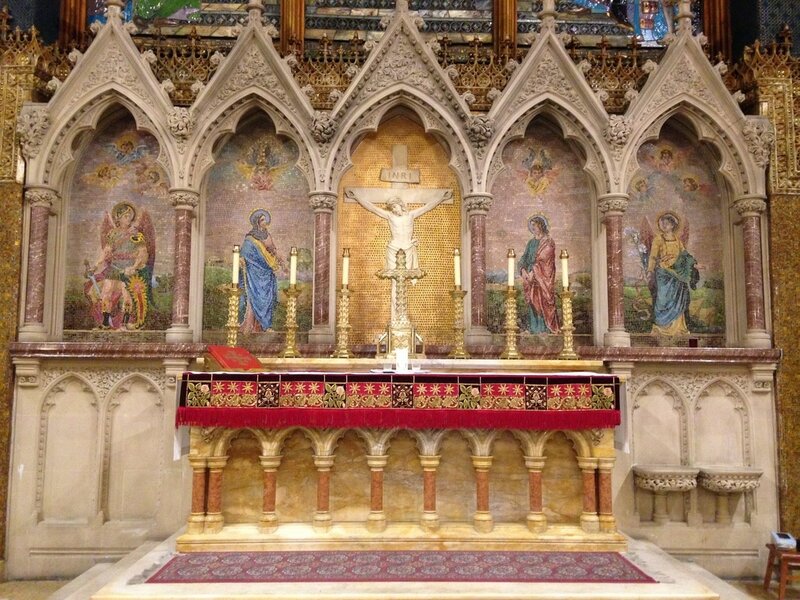 For instance, the tracery in the roof trusses is said to be from the south portico of the cathedral; the altar rail is similar to that in the Church of San Michele in Florence; the wall treatment is similar to the Sicilian Cathedral of Monreale and the palace chapel of Palermo, and the Cathedral of Monreale also furnished some of the interior motifs. The distinguishing characteristic of this style of the Gothic lies in the element of tracery and the uses to which it may be put. 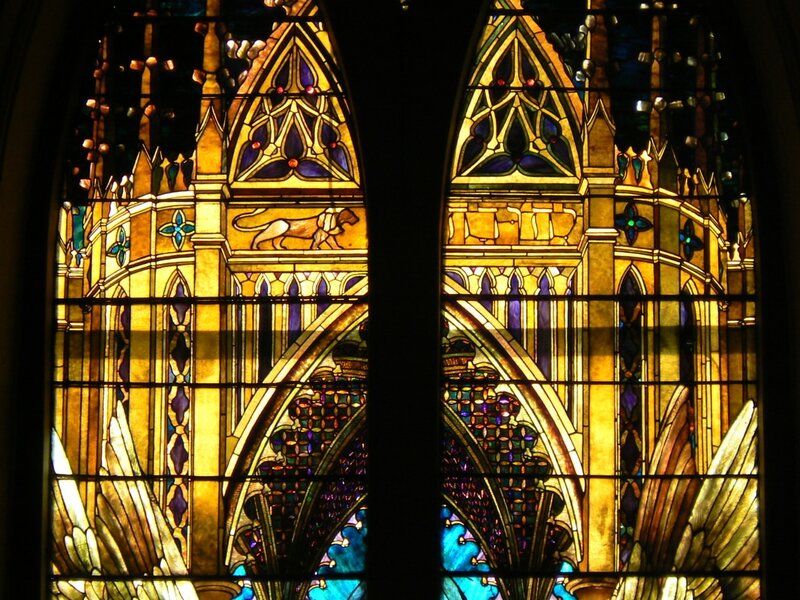 Instead of being the English thirteenth century Gothic, it is that which found its highest development in France. Mr. Tiffany chose the French on account of the peculiar dimensions of St. Paul’s: short length with great height. 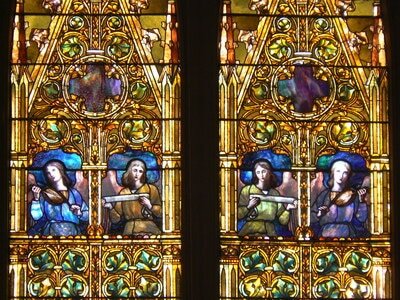 The contractor for the woodwork of the church was Charles Duncan; for the masonry, John Magill; for iron work, M. Mahoney; for pews, chancel furniture and special tracery and screen work, Green & Waterman; for steam heating, Mulligan & Schermerhorn; for cushions, Sperry & Beale, New York; organ, Hook & Hastings, Boston; for all other furnishings, brass work, Tiffany Glass and Decorating Company of New York, who are both the architects and decorators of the building. Among Tiffany's experts was J.A. 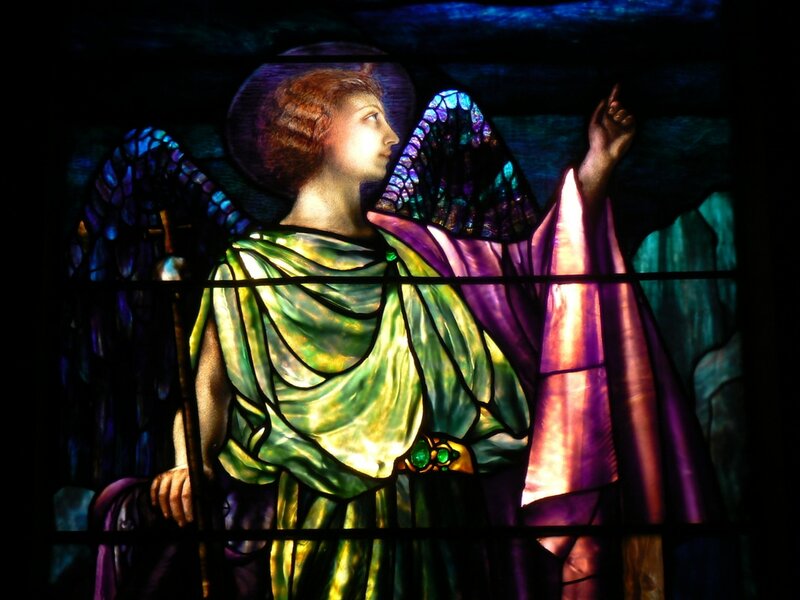 Holzer, an artist renowned for his mosaic work as well as stained glass. The East window is one of his masterpieces. 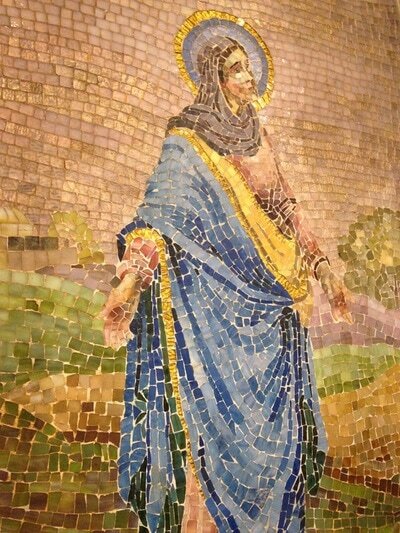 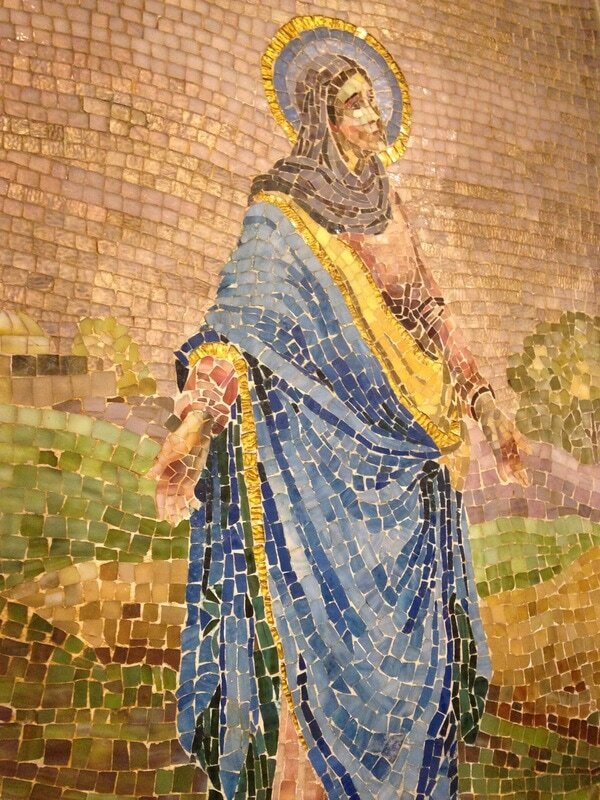 His creative work is also evidenced in the baptistery, where exuberant mosaic figures light up an otherwise dark corner of the church. 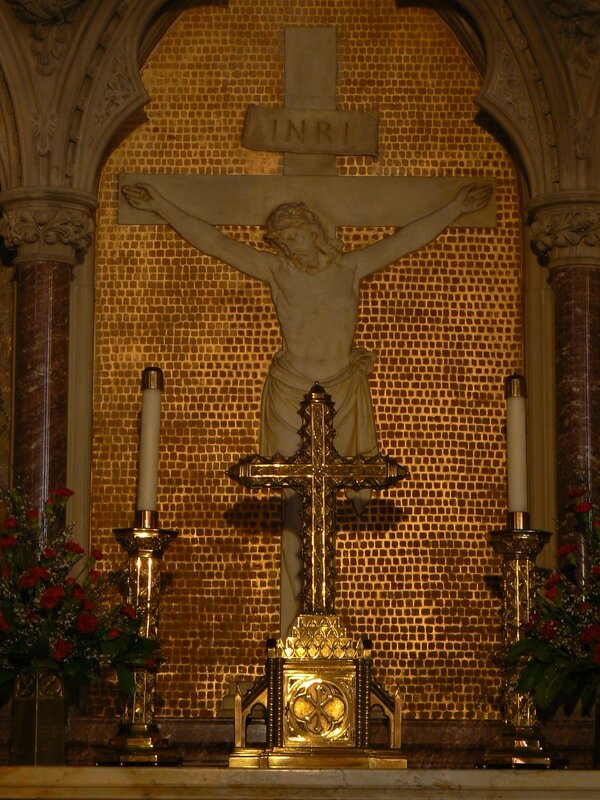 The Tiffany windows cast subdued brightness on pulpit and lectern, woodwork and jeweled lamps. 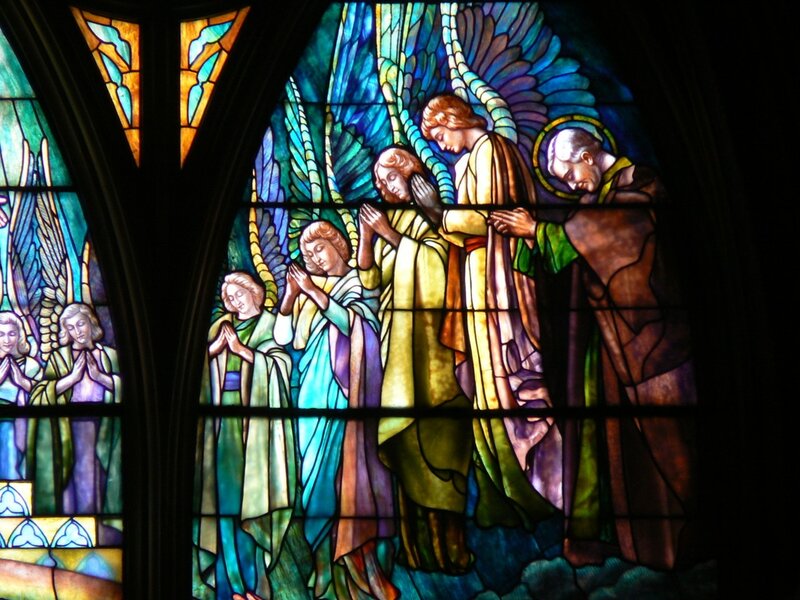 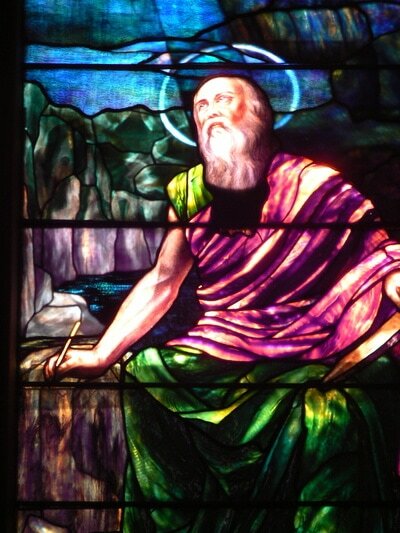 The East Window is a representation of the vision of St. Paul as told in 2 Corinthians 12: 2-4. 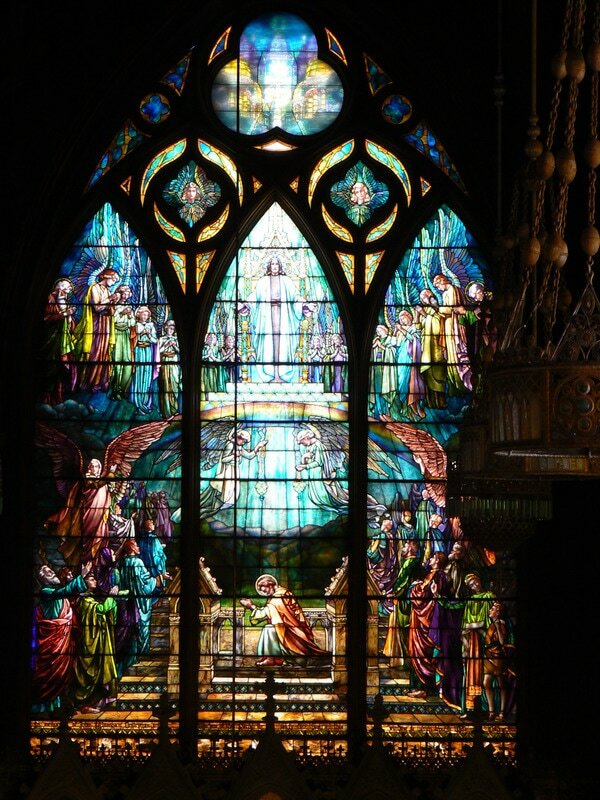 The trefoil above the window represents the Holy City, the New Jerusalem coming down out of heaven from God. 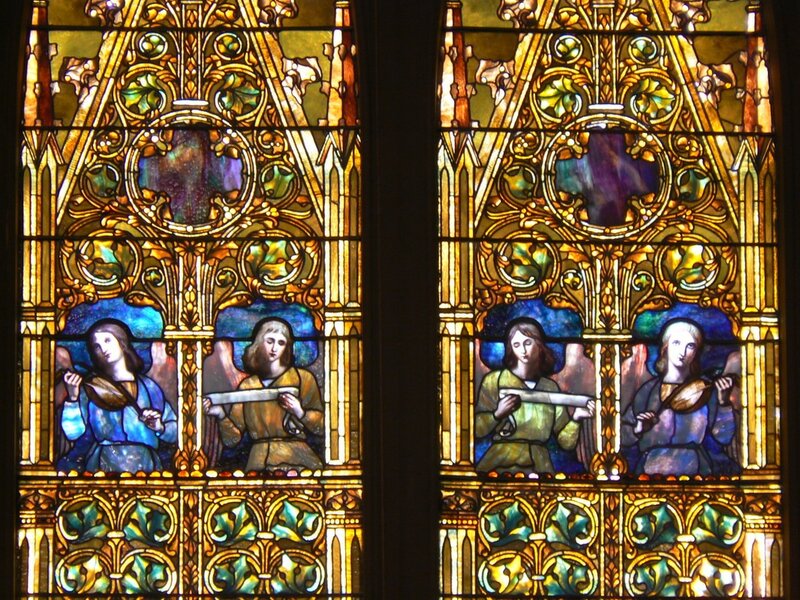 Notice that details in the structures in this window as well as others echo features of the church such as the arches, altar steps, and chandeliers. 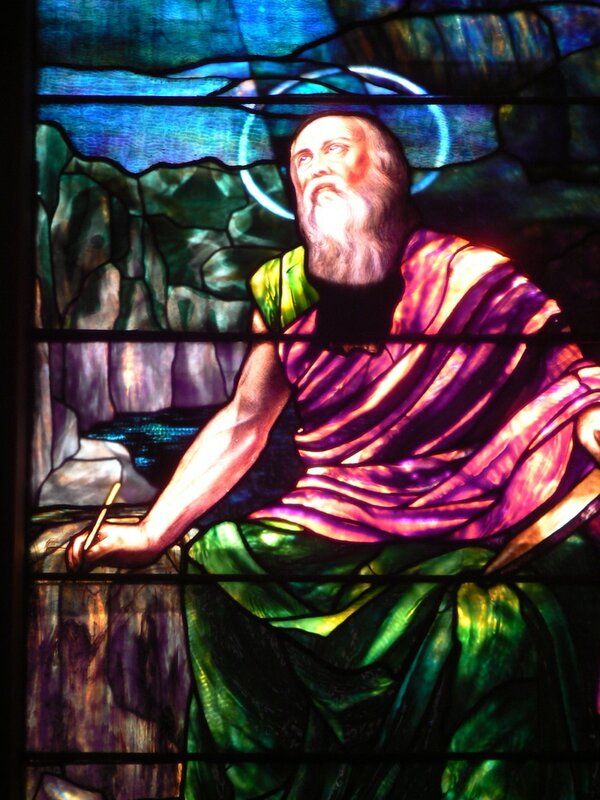 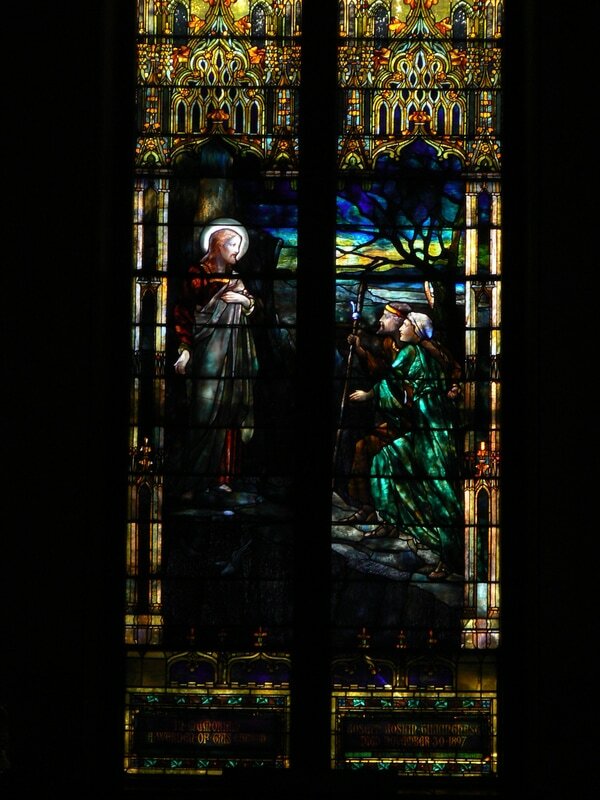 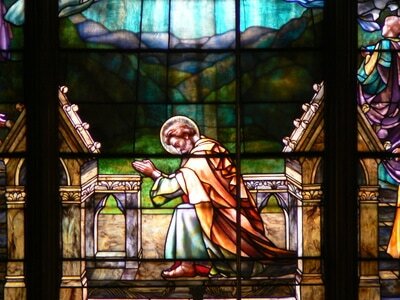 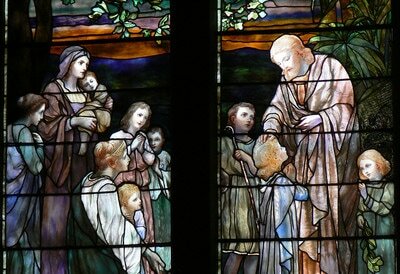 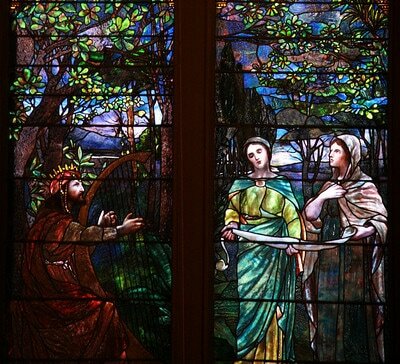 East window: Vision of St. Paul, Tiffany Company/J. 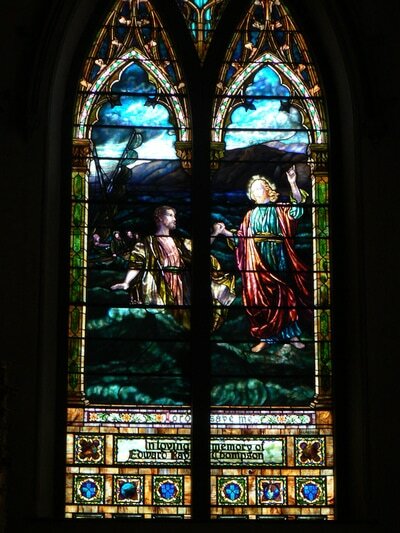 A. Holzer; begun 1893, completed 1903 by Holzer. 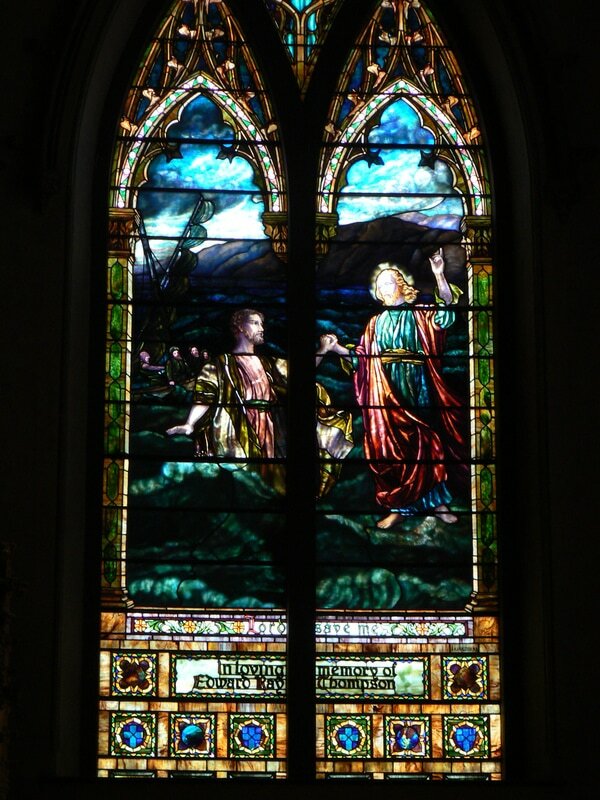 Designed by Jacob A. Holzer, given in memory of John I. Thompson, d. 1901.